Reduces Chlorine > 99% , Reduces Traced Pharmaceuticals > 99%. Reduces Toxic Chemicals and Pesticides. DOES NOT remove trace minerals. Fittings, Mounting Brackets and Wrench Included. Double Unit 20″ Housing With Fiters: #F40S+F40R. 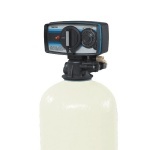 The Aqua Belle Whole House Water Filtration System features double housing system 20” each. 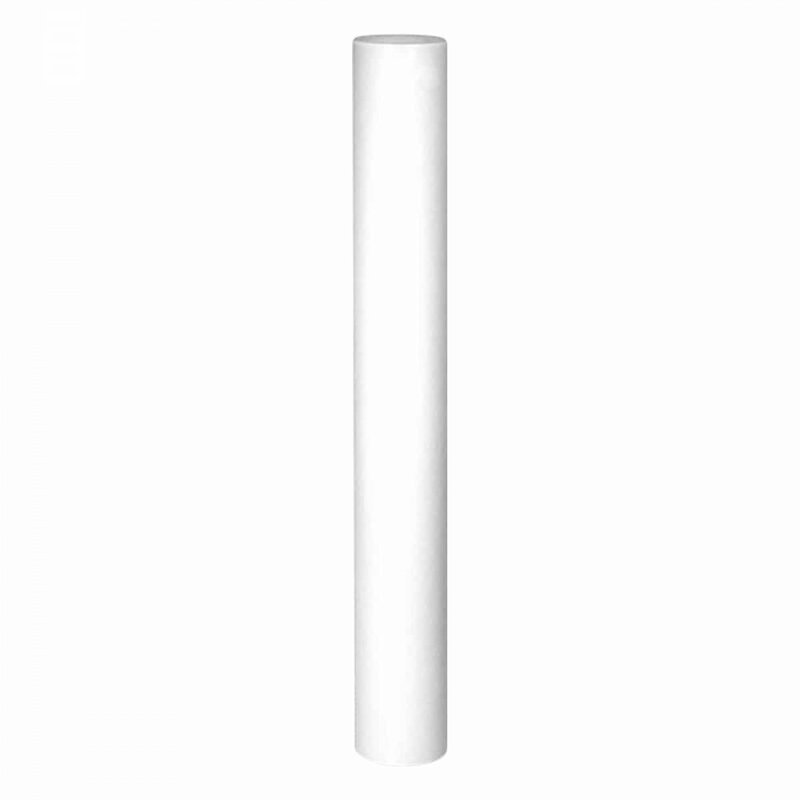 The first is the sediment prefilter F40S-20 and the advanced Aqua Belle extruded filter cartridge F40R-20 that filters out 99% of Chlorine taste and odor and other particles and impurities from your water. 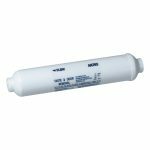 You may want to add and or exchange the new and improved F95-20 (AA+KDF+GAC) filter, which also reduces arsenic, fluoride, heavy metals, and other common contaminants. Temperature Range: 35 – 100 F.
Max. Operating Pressure: 120 PSI. Max. Flow Rate: About 1-1.5 gallons per minute. 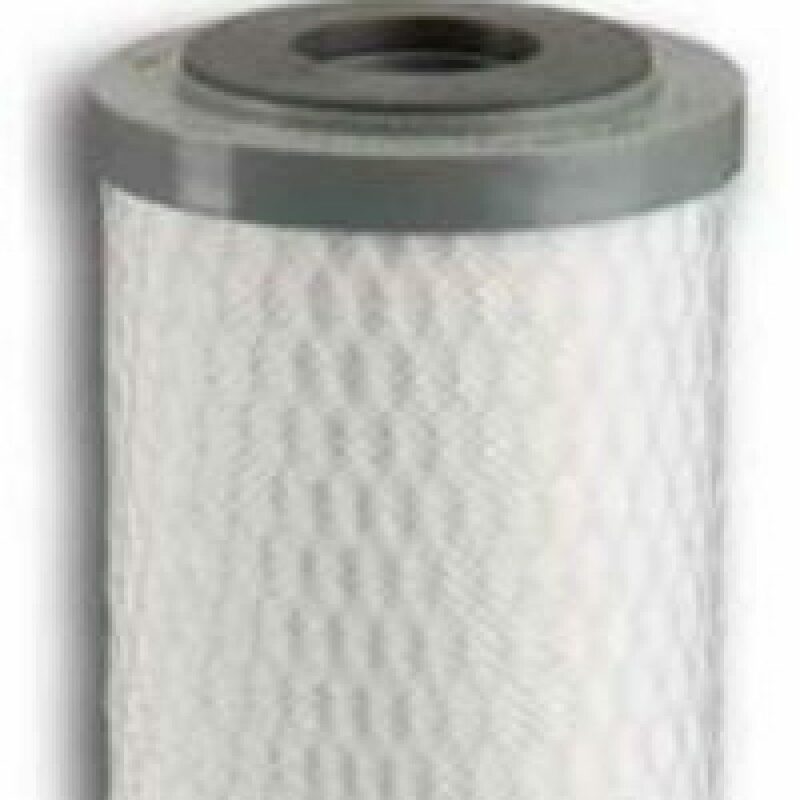 Filter Life: 1.5-2 years or about 20,000 gallons. Removes: >99% of chlorine: 20,000 Gallons @ 1.0 GPM. System Dimensions: w -15” x D – 6” x H – 24” (including the bracket). 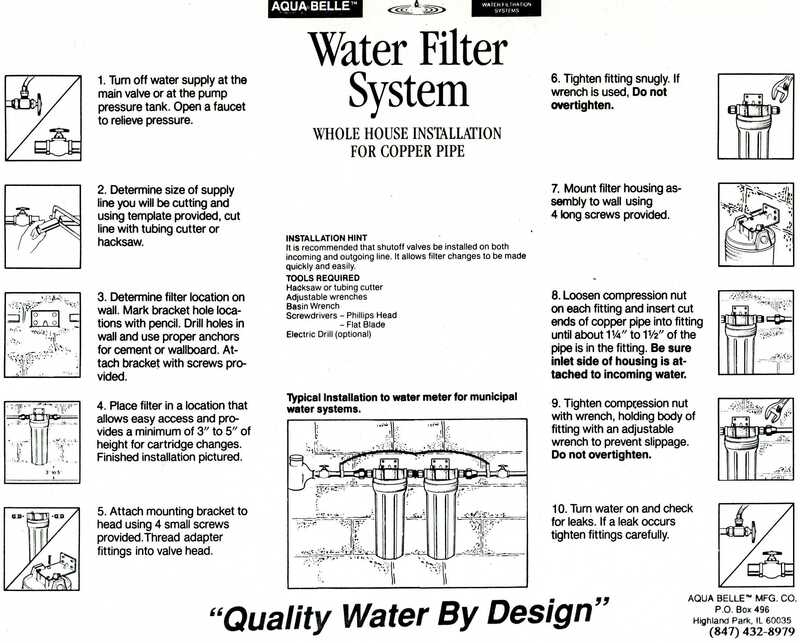 The Aqua Belle W40L Whole House Water Filter does include brass fittings, wrench, mounting brackets and the necessary screws needed for proper mounting of this filter system. 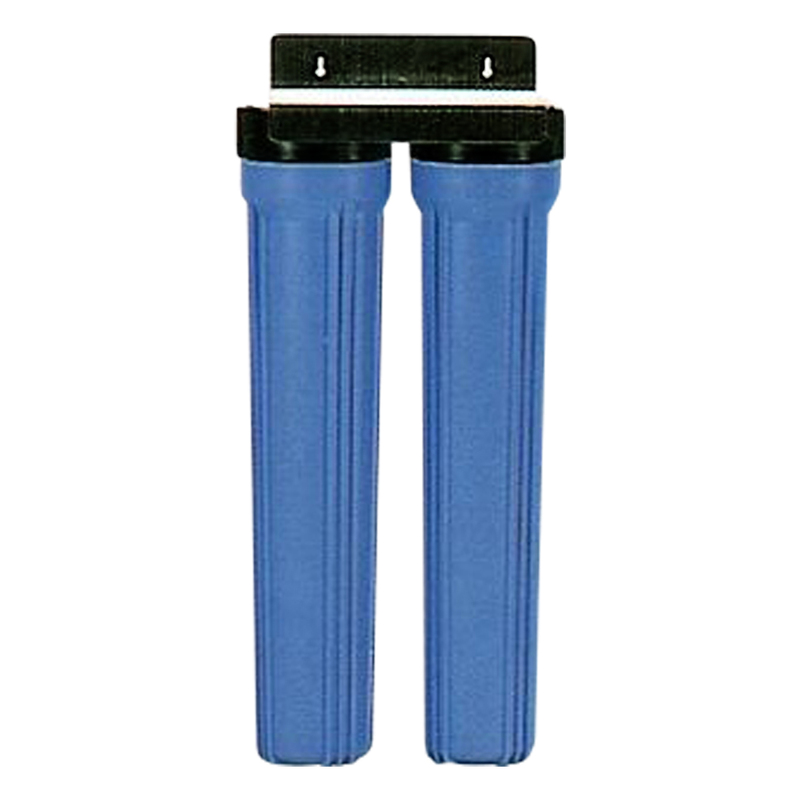 This Aqua Belle water filter system is designed for use on cold water lines only. 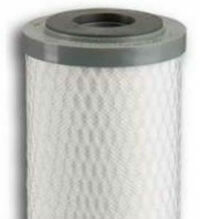 No power is required to run this water filter system. 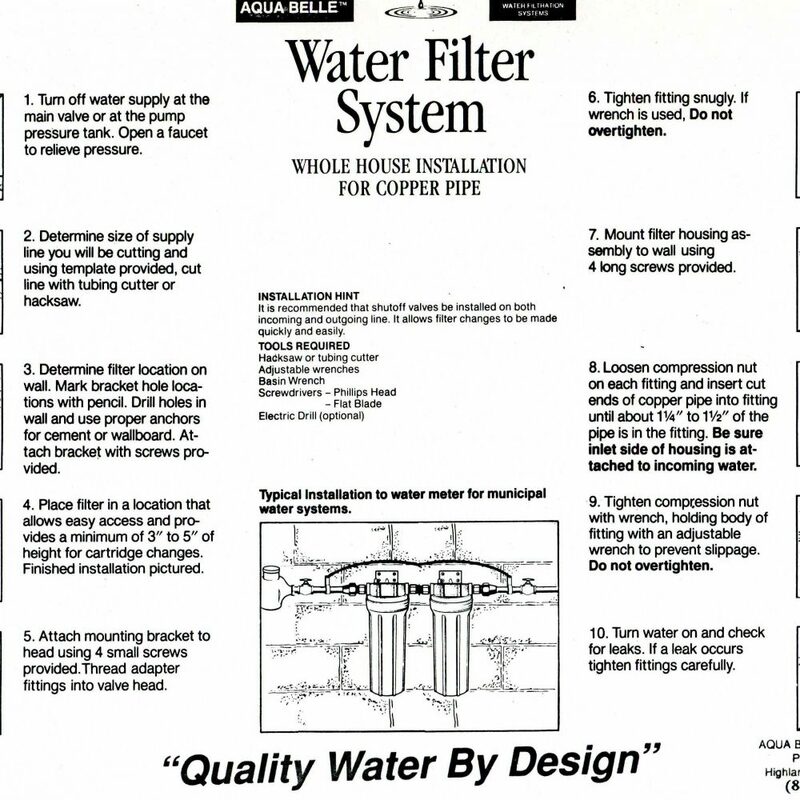 Full instructions for installation and use of this Aqua Belle filtration system are included.